The Brushed Microfiber Bed Sheets from Mellanni Fine Linens come in more than 30 colors and are easy to care for, but are they as amazing as they claim to be? Read on for my full review. 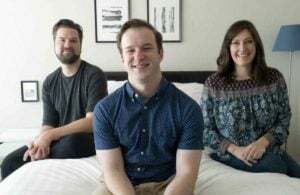 The sheet set is made by Mellanni Fine Linens, a bedding company that also sells 1500 Brushed Microfiber sheets, 1800 Brushed Microfiber Duvet sets and Hypoallergenic mattress protectors. The company says they pride themselves on having the best customer service in the industry. 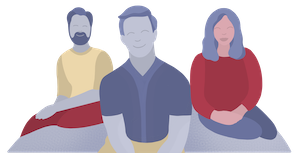 They offer a 100% money back lifetime warranty. 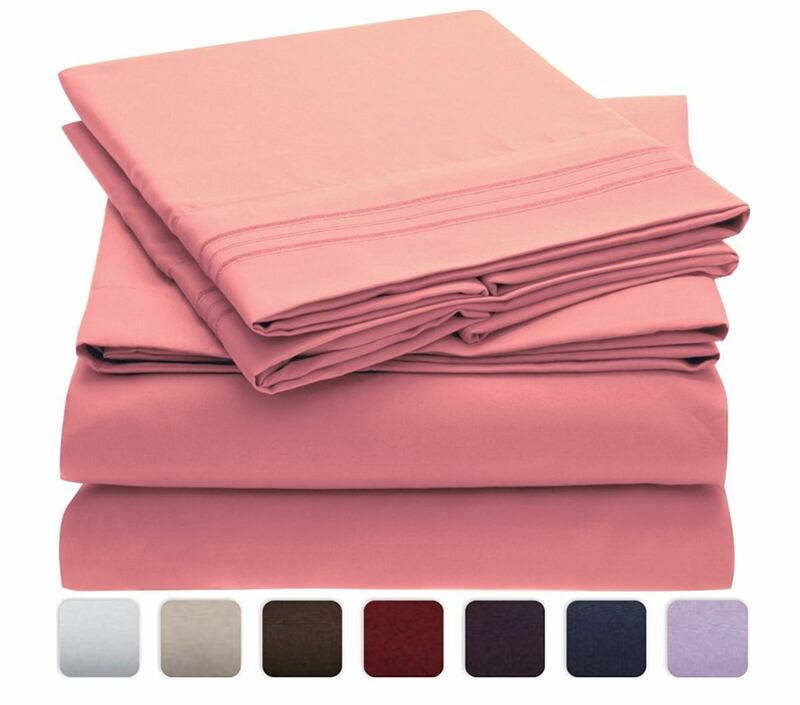 I reviewed the 1800 Brushed Microfiber sheet set in Pink. 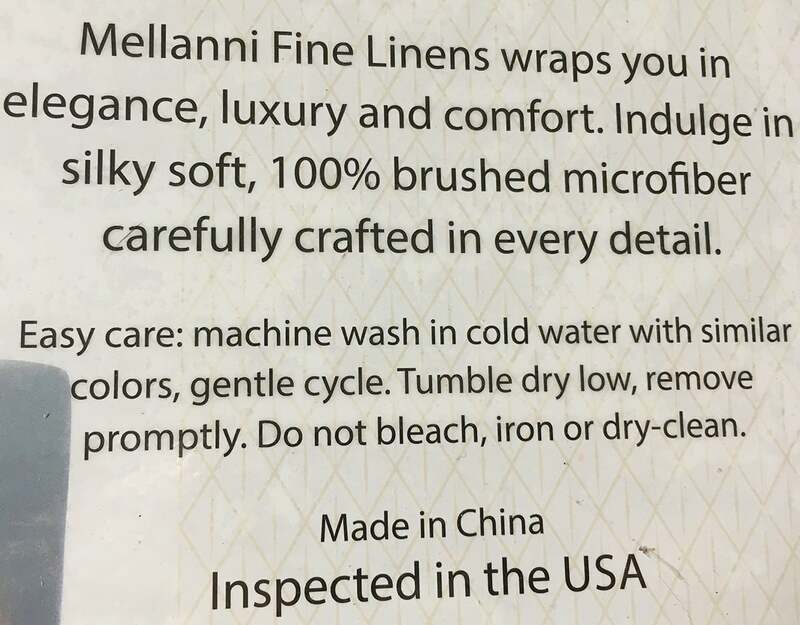 The sheets are indeed soft, but some of the other bigger claims that Mellanni Fine Linens makes about their products did not live up to my expectations. 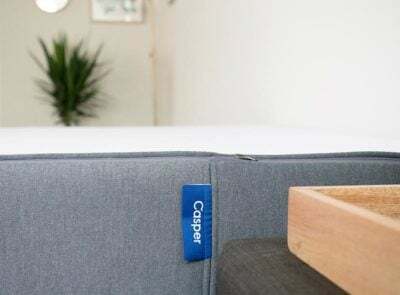 The sheets are described as being wrinkle, fade, and stain resistant, as well as hypoallergenic (and dust mite resistant). I followed the care instructions to the letter. I washed the sheets in a delicate cold cycle and a low tumble dry. Compared to other sheet care, this is very easy. I removed the sheets promptly and draped them on the bed right away as instructed. 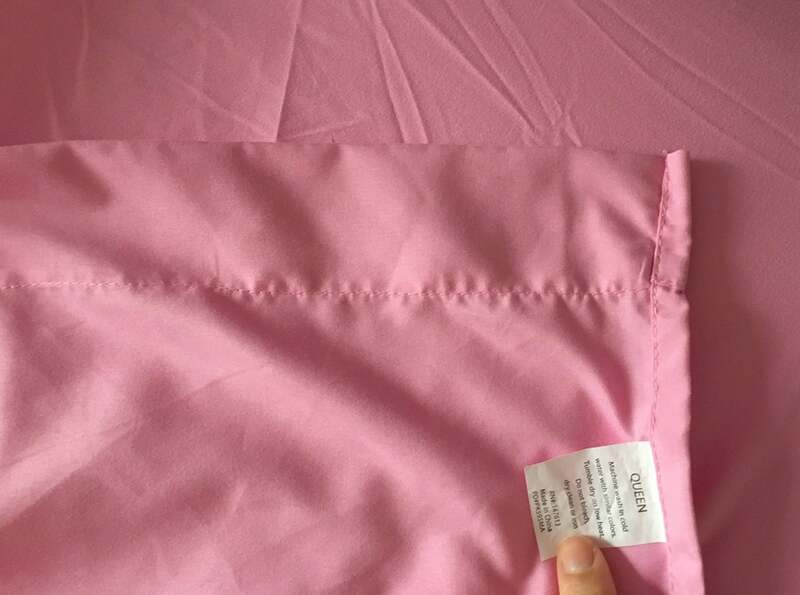 As you can see from the photo – while they did not fade – the sheets are not wrinkle-free. The instructions also indicate that you should not iron these sheets. 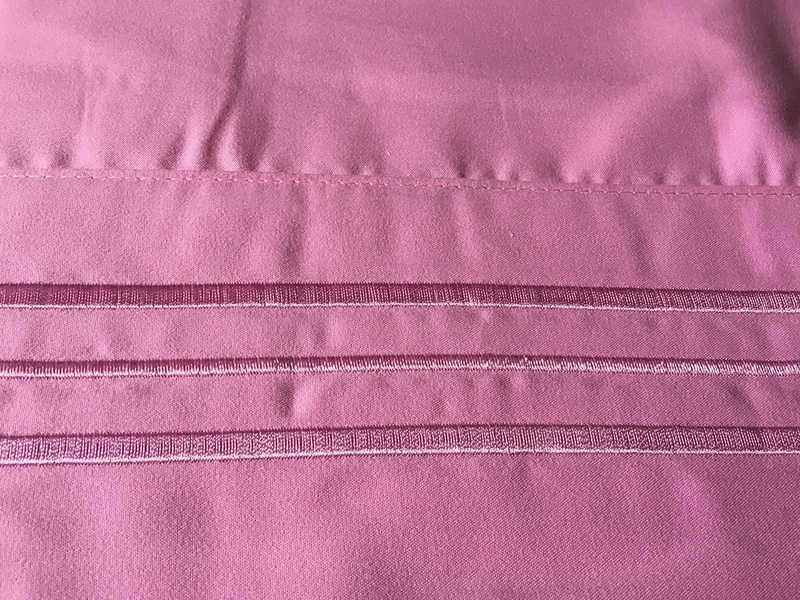 The two pillow cases that come in the set have a special hem (on one half of the pillow) with thread that makes the sheets look more luxurious. However, the top flat sheet does not have a matching hem, but rather a simple hem that makes the sheets look cheaper. The microfiber sheets are truly very soft and have a unique feel that I haven’t experienced in a sheet set before. The actual material is very thin (a note echoed in other reviews I read). Thin sheets are not always associated with high quality, but this characteristic does give them a lightweight feel and they were easy to dry as advertised. The care tag fell at the top of the flat sheet, so that when I pulled the sheet up to my face to sleep, the tag irritated me. I wish they had placed the tag at the bottom of the top sheet. 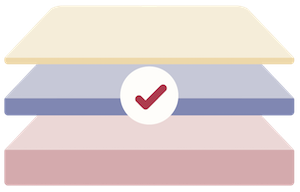 I had no fading or stain issues with the sheets, however, other reviewers found their sheets stained when extra oils (like from lotion) were absorbed into the sheets. The sheets are also supposed to be hypoallergenic and resistant to dust mites. While I can’t personally test for dust mites, I had no skin issues or irritation while testing the sheets. I did like how soft the sheets were. They were not as light as many of the bamboo sheets I have reviewed, but they did not feel any heavier than cotton sheets. I did wake up overheated once during the three nights I tested the sheets. I did not feel like the sheets breathed very well. I really like that the sheet set comes in so many colors. 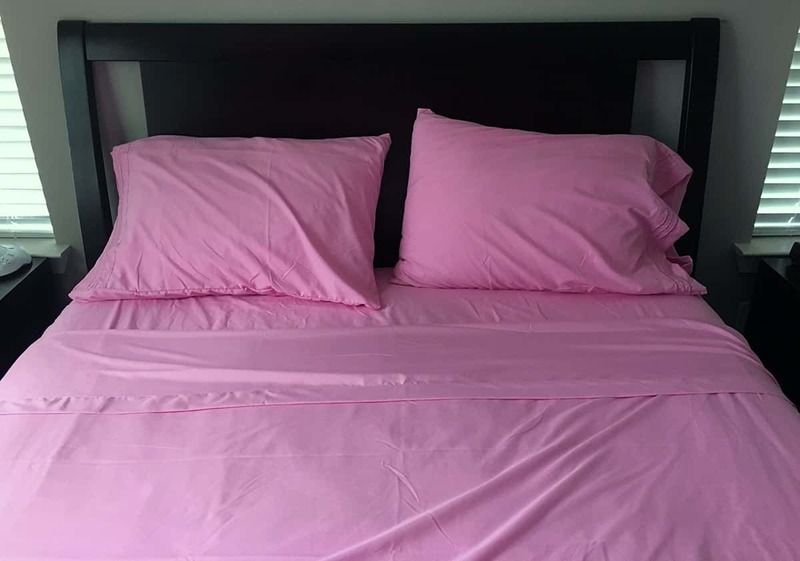 They even offer Hot Pink sheets and patterned sheets as well. 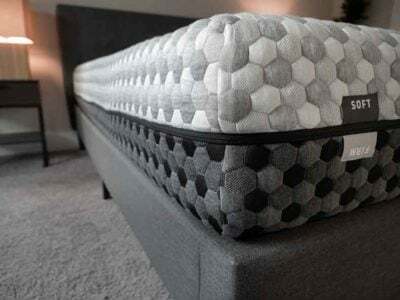 This and their affordability could make them a good option for those looking to match a specific comforter or duvet cover. 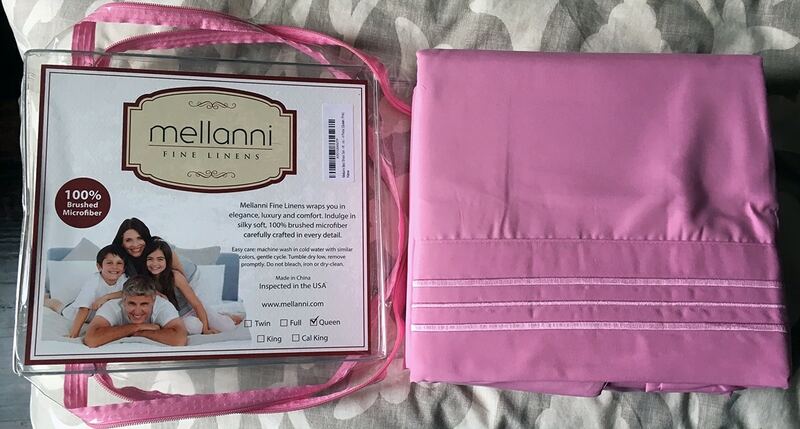 The Mellanni 1800 Brushed Microfiber Bed Sheets come in more than 30 colors and are easy to care for but they are not wrinkle-free as advertised and their thin material draws their quality into question. I felt the fabric was soft and unique but did not breathe well. Their affordability and comfort level makes them a good fit as a second pair of sheets or sheets for a guest bedroom. Based on my experience, the sheets are not wrinkle resistant as promised. They are actually fairly wrinkly and instructions say not you should not iron your sheets. I am not sure how you would remove the wrinkles entirely. The thin material of the sheets does not provide a luxurious feel. 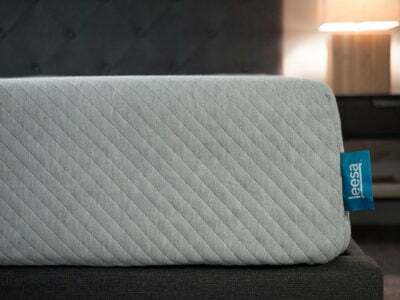 Many reviewers commented on the cheaper quality of the set while others liked how lightweight it made the sheets. The sheets were not true to color in some light. 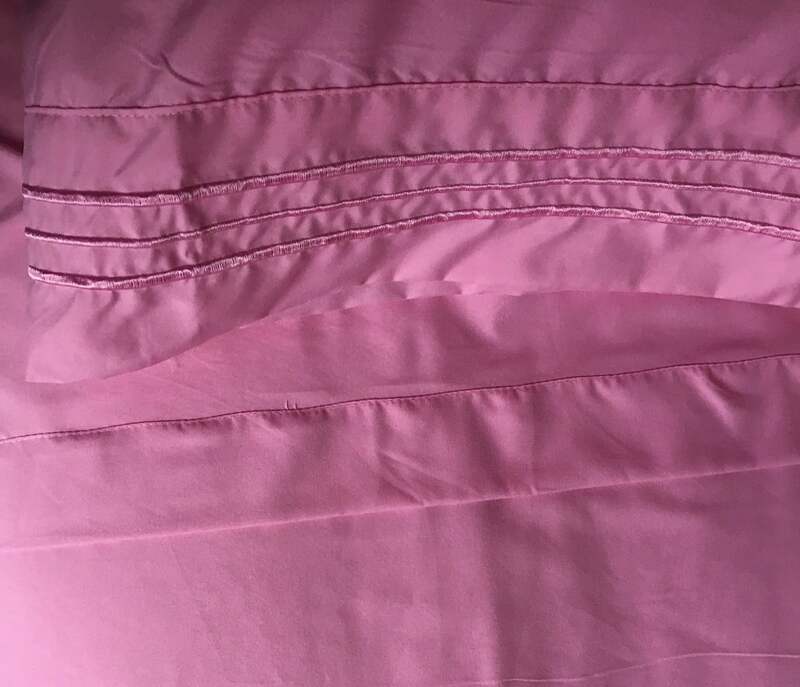 They looked like a different shade of pink than advertised when I viewed my sheets in natural light. They looked closer to the color advertised when I closed my shades and put my lights on. Keep this in mind if you are looking for a very specific shade of pink. The sheets did not breathe well for me, I woke up hot during my review. 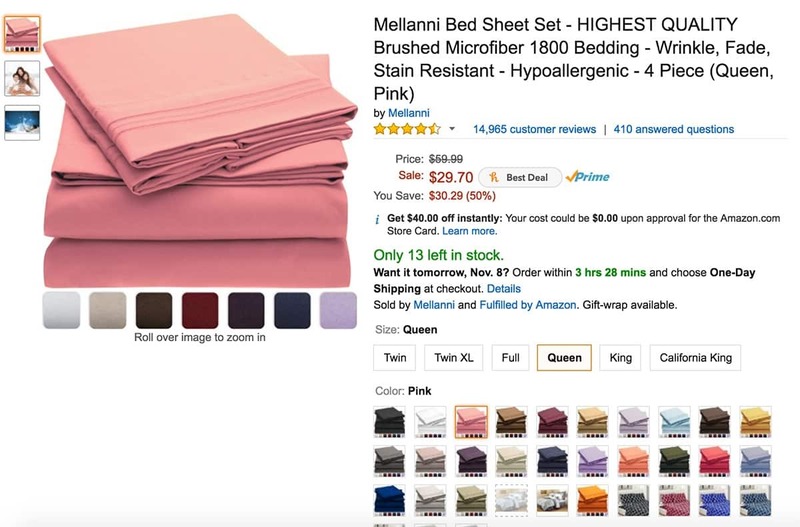 Finally, Mellanni Fine Linens says that their 1800 Brushed Microfiber Sheet Set is the “#1 Bed Sheet Set on Amazon.” They also direct you to purchase sheets off Amazon.com. But nowhere on the actual Amazon page does it say that these sheets are best sellers. The affordable price of these sheets is one of the biggest assets to the sheet set. 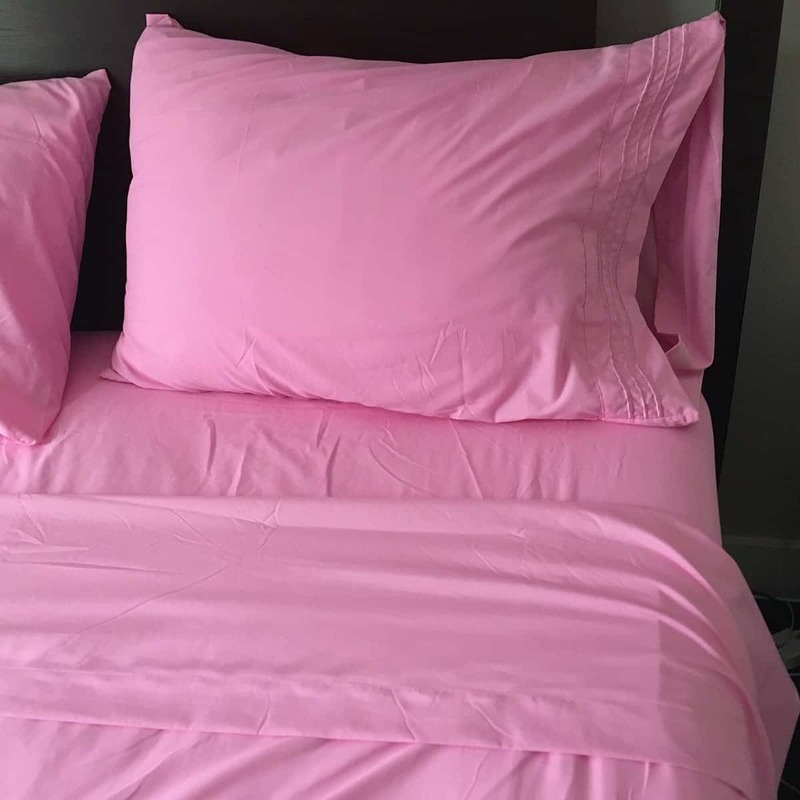 A queen sheet set in Pink is currently sold on Amazon for $29.70. The White color is only $17.00 for a queen set. The sheets also come in sizes from Twin to California King. Based on my experience, I think these sheets could be a great back-up set of sheets. I am not sure if their quality would allow them to hold up long if used every day. The could also be a nice set of sheets for a guest bedroom or for a bedroom with a very specific color scheme. 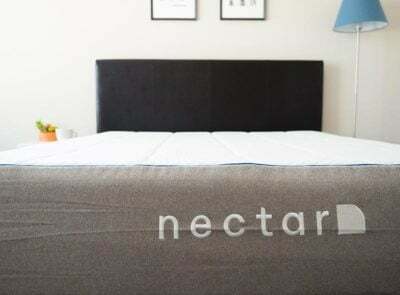 I would recommend these brushed microfiber sheets for people who are looking for an inexpensive set of soft sheets and want to try something that isn’t cotton or another material like bamboo. The customer service team at Mellanni Fine Linen were quick to address many negative reviews and comments on Amazon. They were very open to offering refunds or exchanges. Mellanni Fine Linens offers a Lifetime Guarantee on their sheets and offer a full refund if you are unhappy with your sheets. Great review! What would be e your favorite sheets? We’ll be putting out our favorite sheets in the next couple of months. We haven’t tried enough to say just yet.